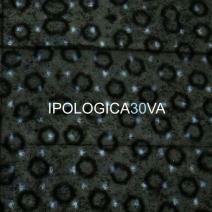 Ipoligica Recordings’ guys are back with this excellent compilation featuring many great producers and friends. IPO//030 is available now only at beatport Exclusive (bhuuuuu) but will be sold on every major web music store shortly, so for all of you who don’t have a beatport account (or just hate beatport) be patient and wait for your favourite web store to sell this compilation in the near future. the compilation contains “12 tracks by 12 different artists. A concept where the pure electronic music and experimental (Gianluca Angelini – boss at ANG rec, Giulio Maresca – boss at Ipologica Recordings, Miquel Salla) through the deep sounds (Gabe Dm, Alveol, Enrico Sedda, Yuuki Hori, Gabriele Brunno – boss at NGB) and dub-techno sounds (Ness, Gale Talk) ending up in things hybrid, more acid (Kawatin) and mental (Fabio Sestili – also boss at Ipologica Recordings). An image of a beautiful label that has as a common denominator: the love for the sound class and its roots in electronic music”. I really like the music in this compilation, particularly the first track scored by Alveol, which is a great producer and a very sweet guy. I would like to make a special mention to the track called Soundtrack by Giulio Maresca who shows here his more intimate and delicate side, he’s not only a fine techno dj but also a great producer with a good taste and strong technique. personally I also like the track by Miquel Salla, it’s got good synths sounds, sparkling hats and stompig kick. I also like the Ness’ one it’s got his particular dub touch which defines his style. in the end… the compi is great and you should buy it as a christmas gift for your top quality seeker friends 🙂 I am so proud to be part of it!